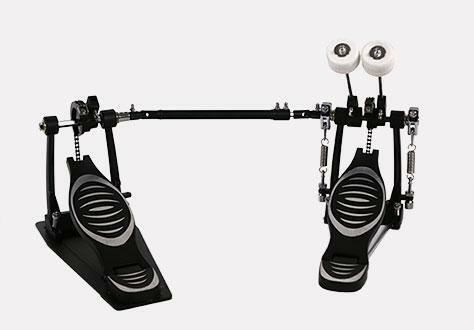 Chain-drive double kick pedal for all drummers and styles. Second pedal is mounted on a metal plate for maximum stability and strength. For quick and solid action and long life. For smooth and stable performance. Anti-slide spikes resist slippage during performance.